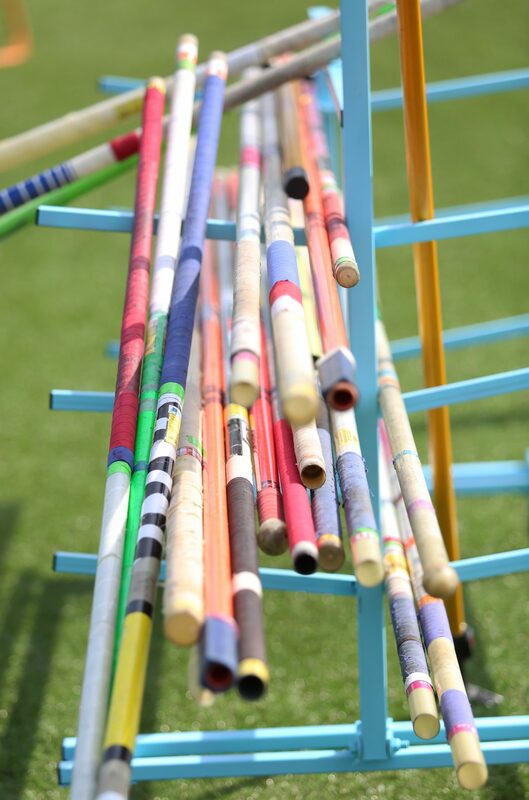 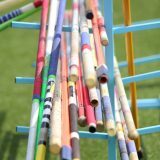 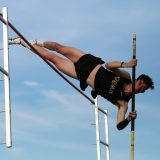 A collection of pole vault poles of different lengths. 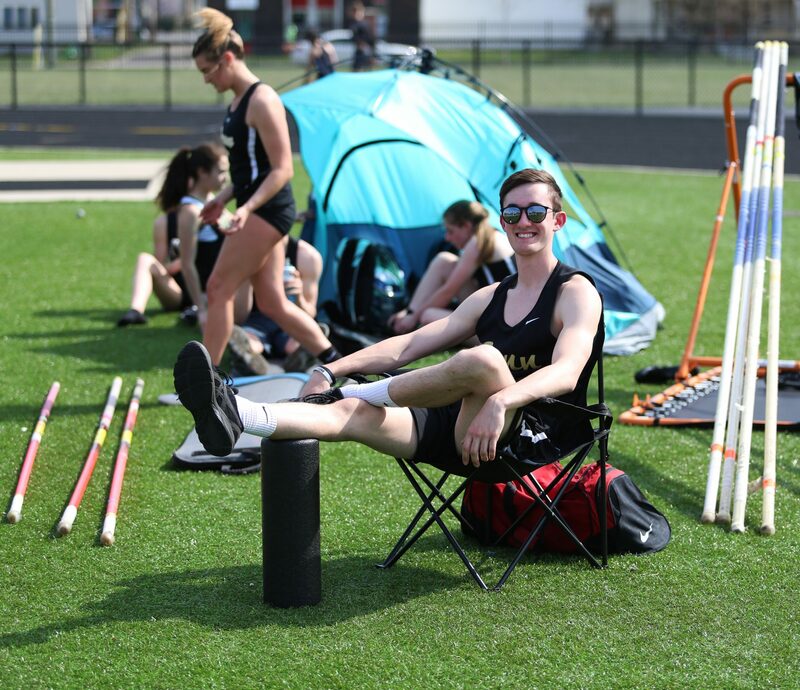 Dominic Nipper catches some rays after setting a PR of 13′ in the pole vault. 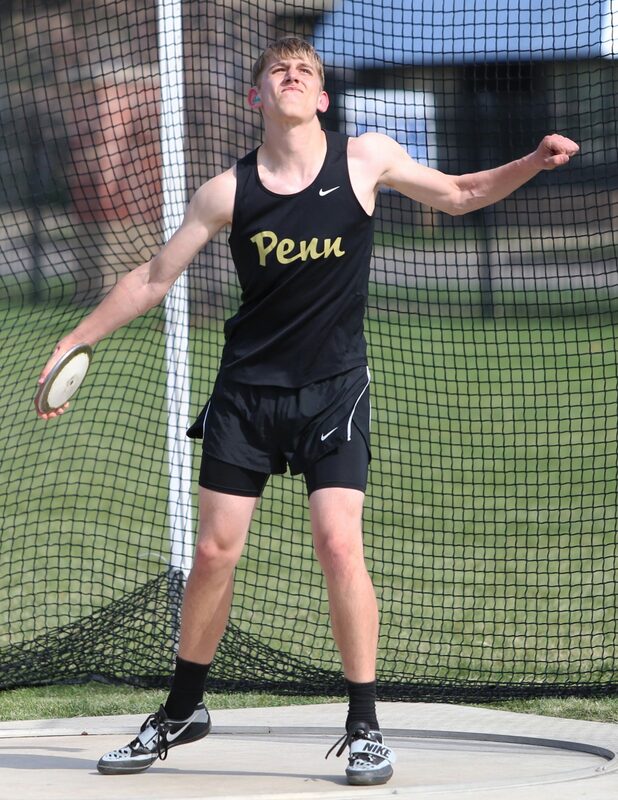 Camron Arendt winds up to throw the discus. 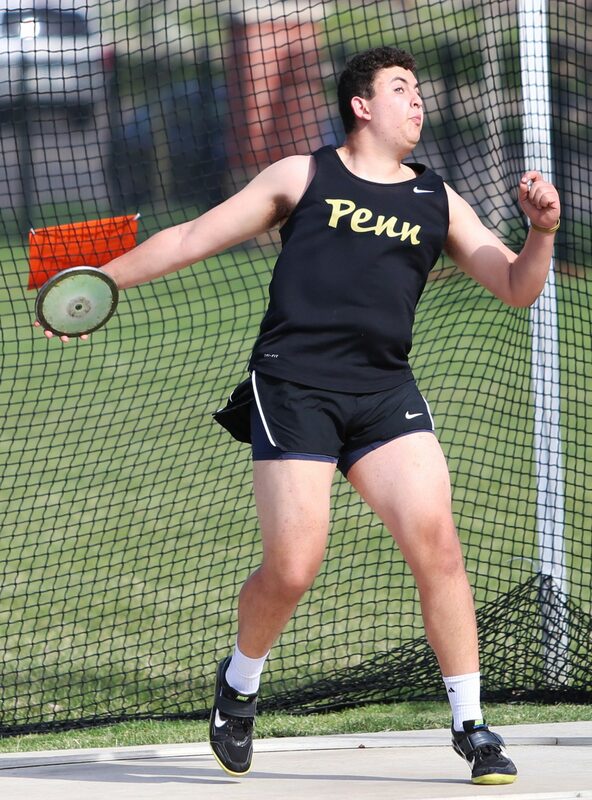 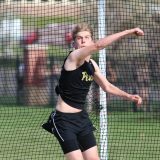 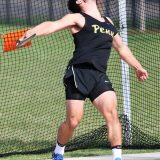 Camron Arendt launches the discus. 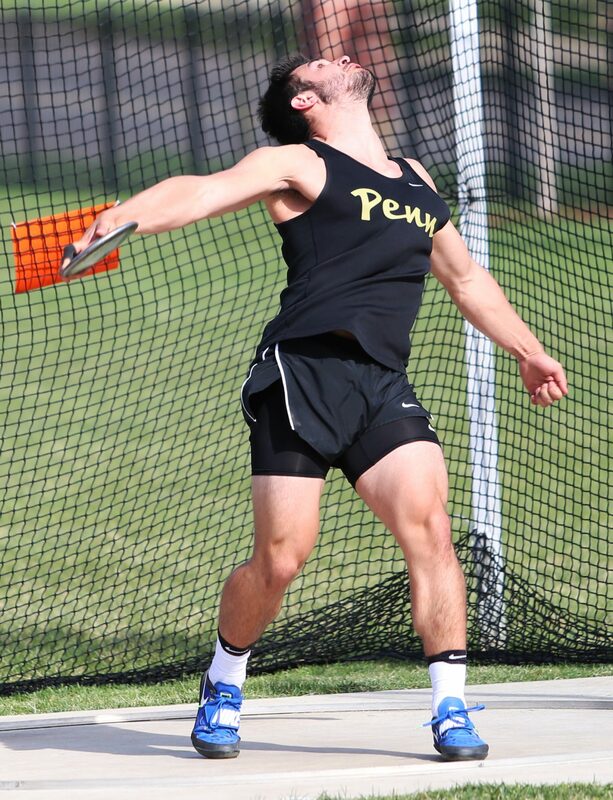 Cameron Arendt after sending the discus soaring. 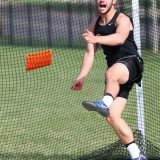 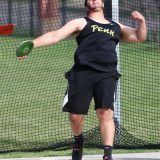 Andrew Aboukhaled winds up to throw the discus. 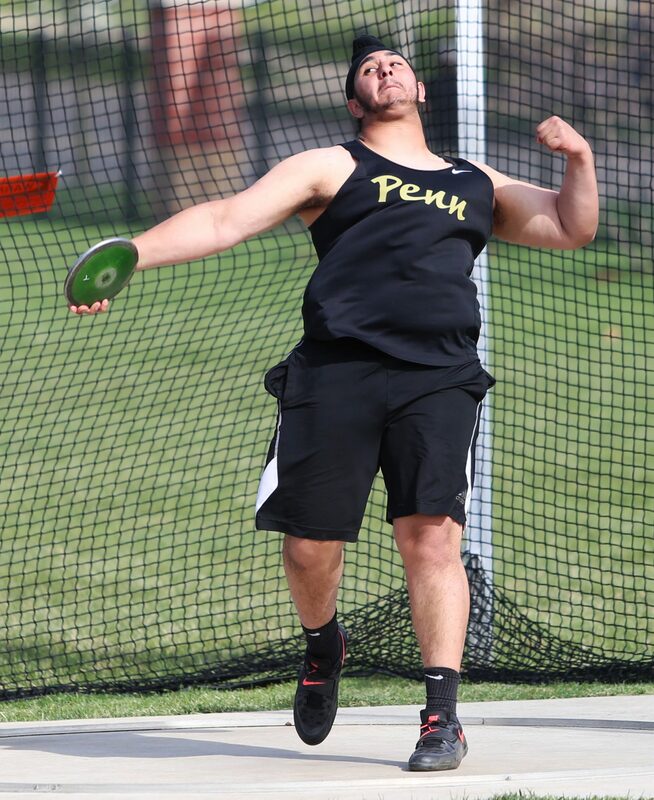 Vishal Turna as he releases the discus. 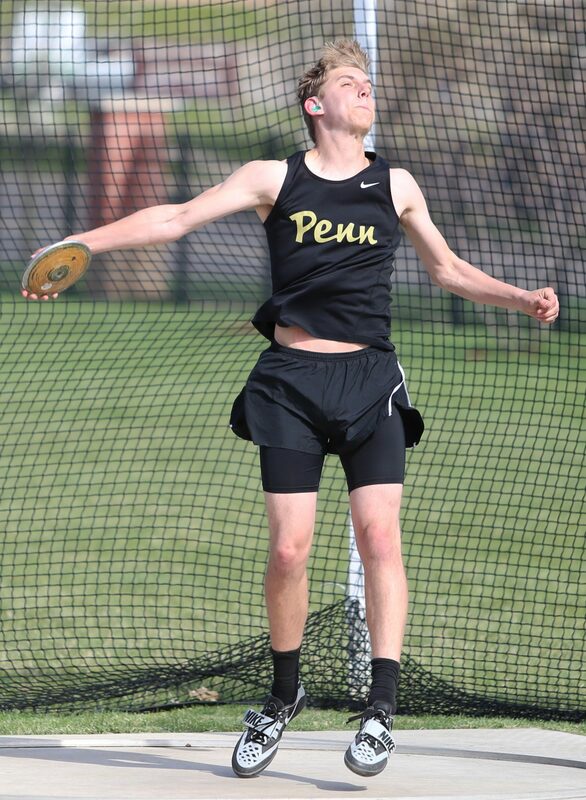 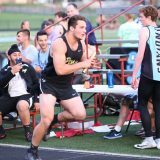 Caden Paquette launches the discus. 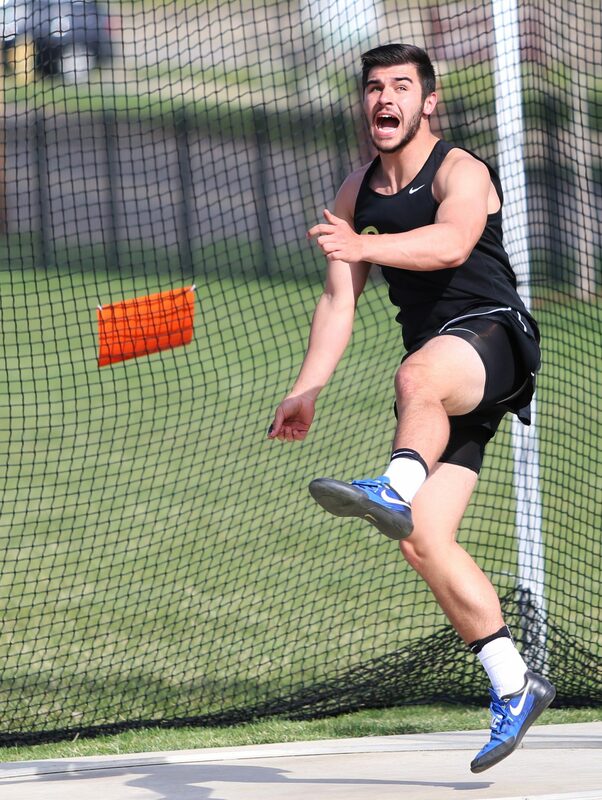 Caden Paquette moments after setting the junior record in the discus. 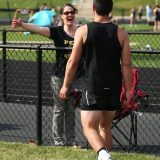 Caden Paquette getting a congratulations from his mom after setting the junior record in discus. 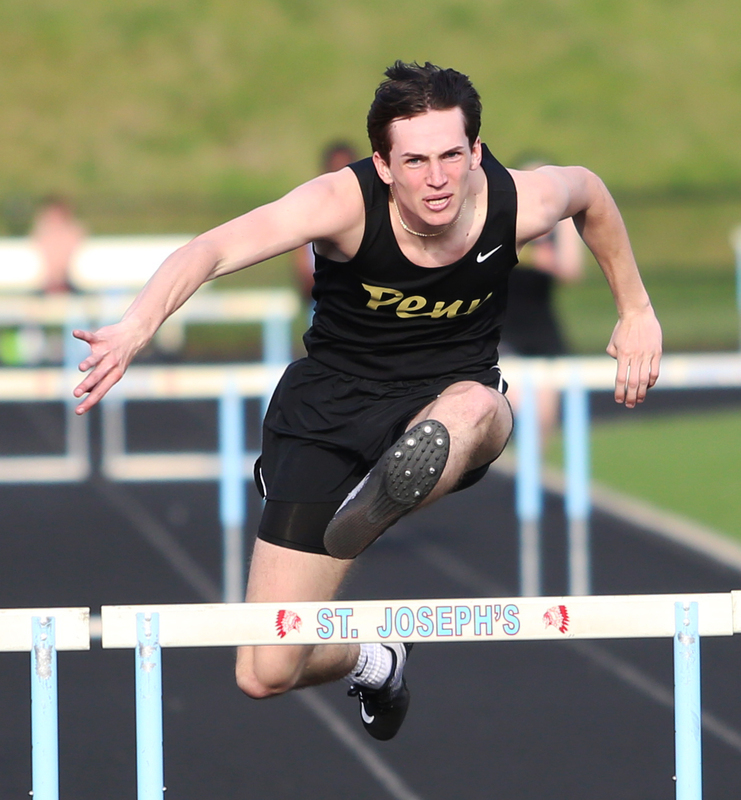 Vincent Nierzwicki-Trifiletti clearing the last hurdle in the 110m hurdles. 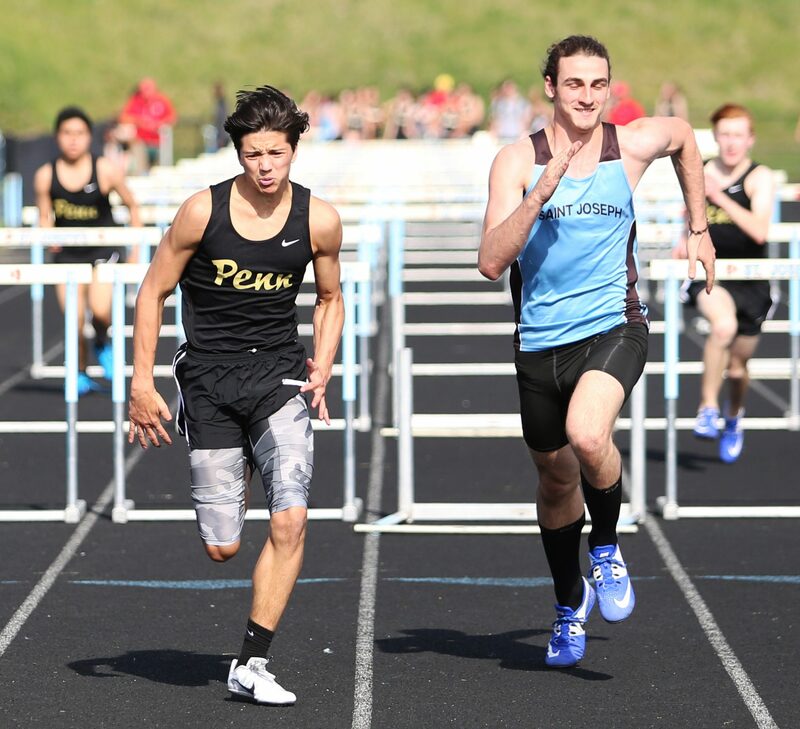 Vincent Nierzwicki-Trifiletti edging out the competition in the 110m hurdles. 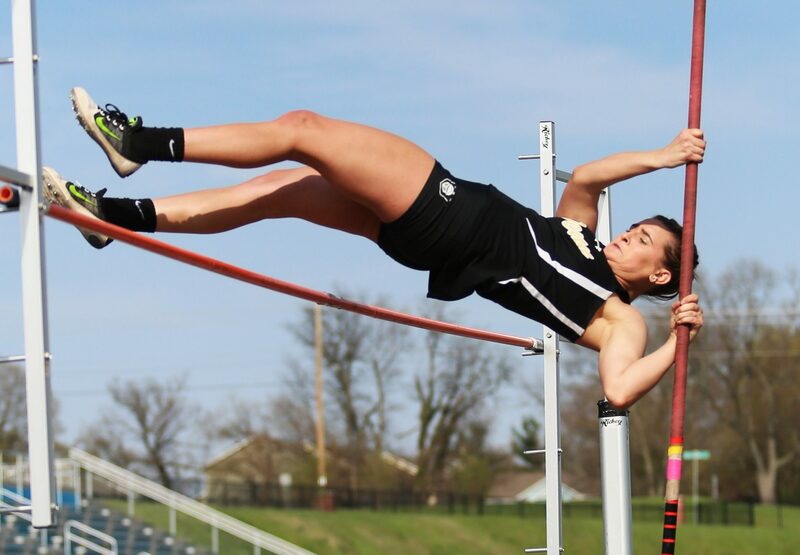 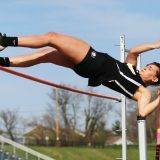 Kelsey Funkhouser soars over the bar in pole vault. 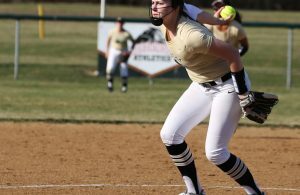 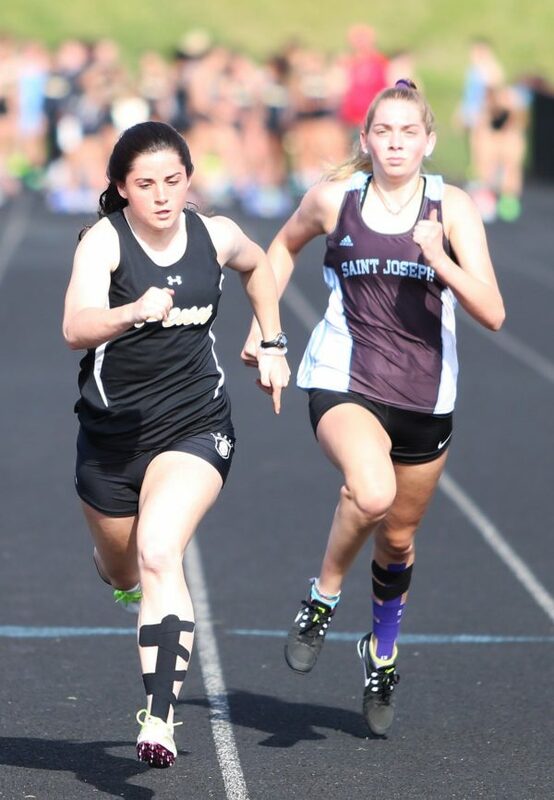 Kelsi Carrico sprints past the competition. 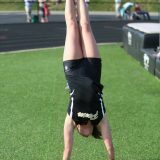 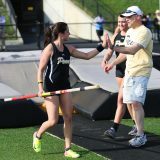 Amanda George ‘warms-up’ for pole vault. 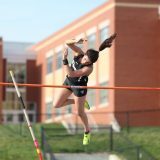 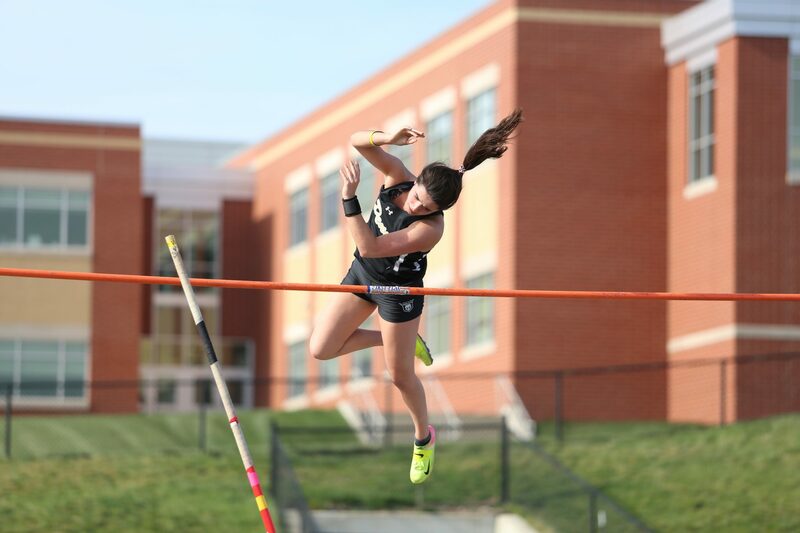 Amanda George clears the bar. 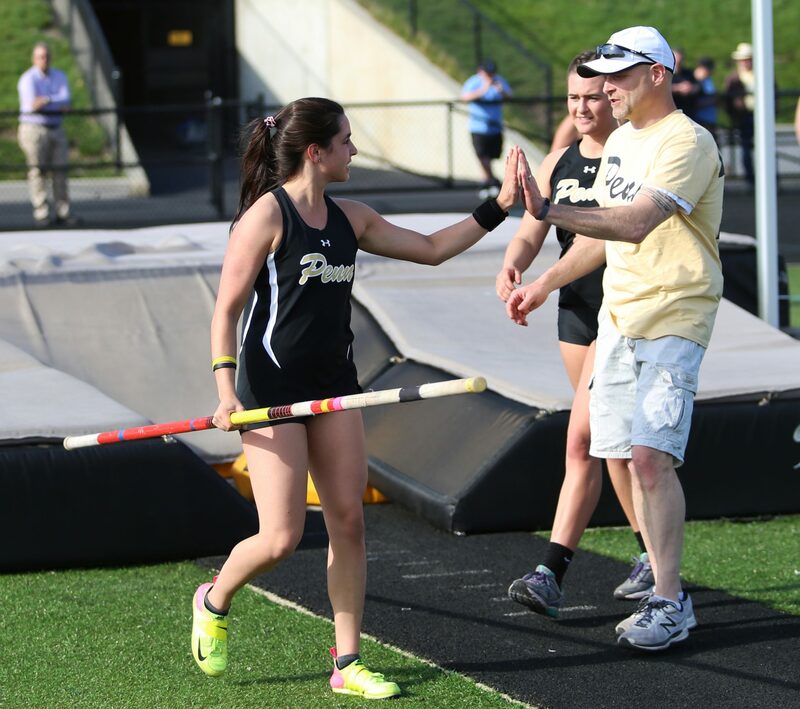 Amanda George gets a high five from pole vault coach Robert Pletcher. 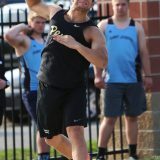 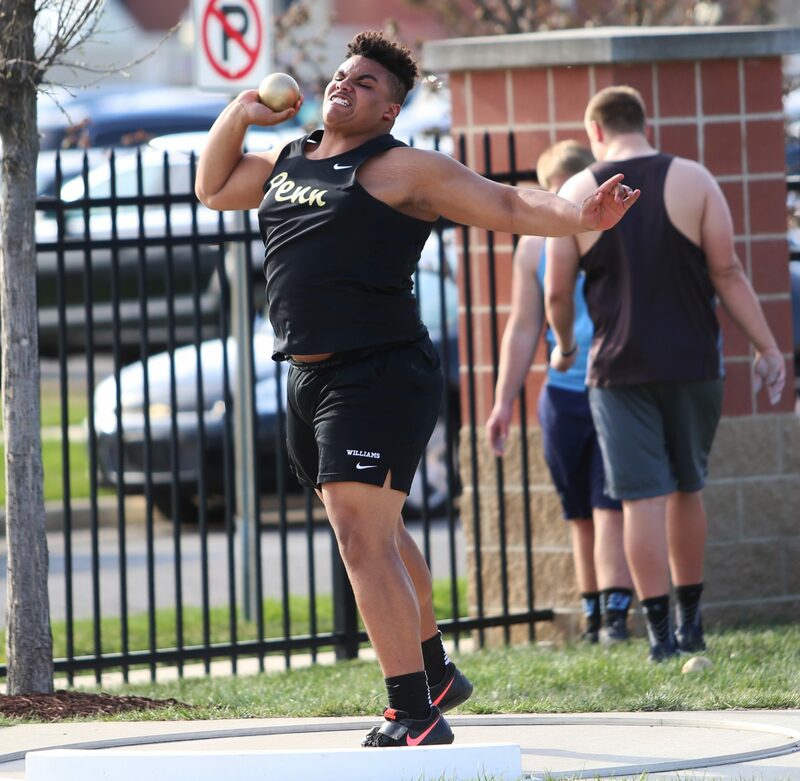 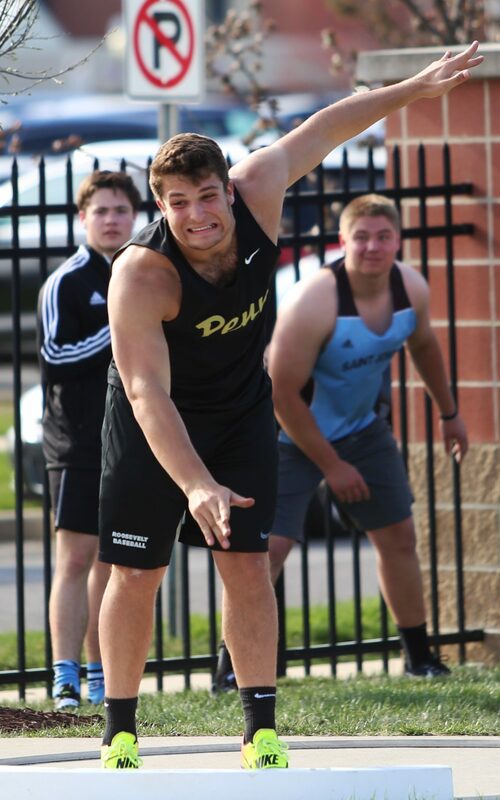 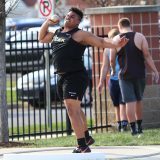 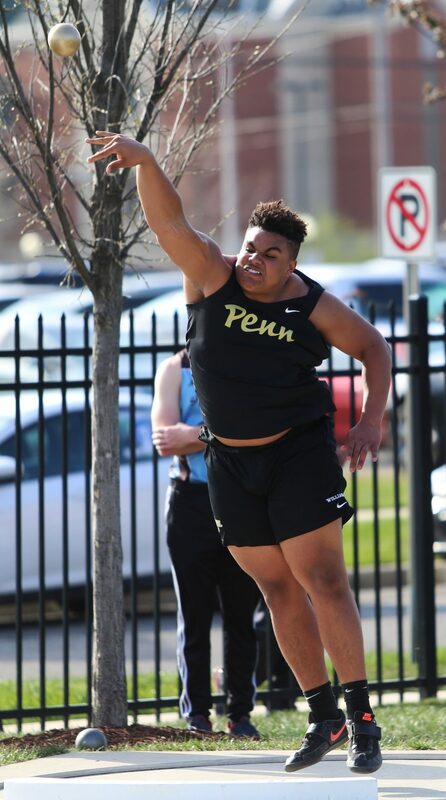 Ryan Williams launches the shot put. 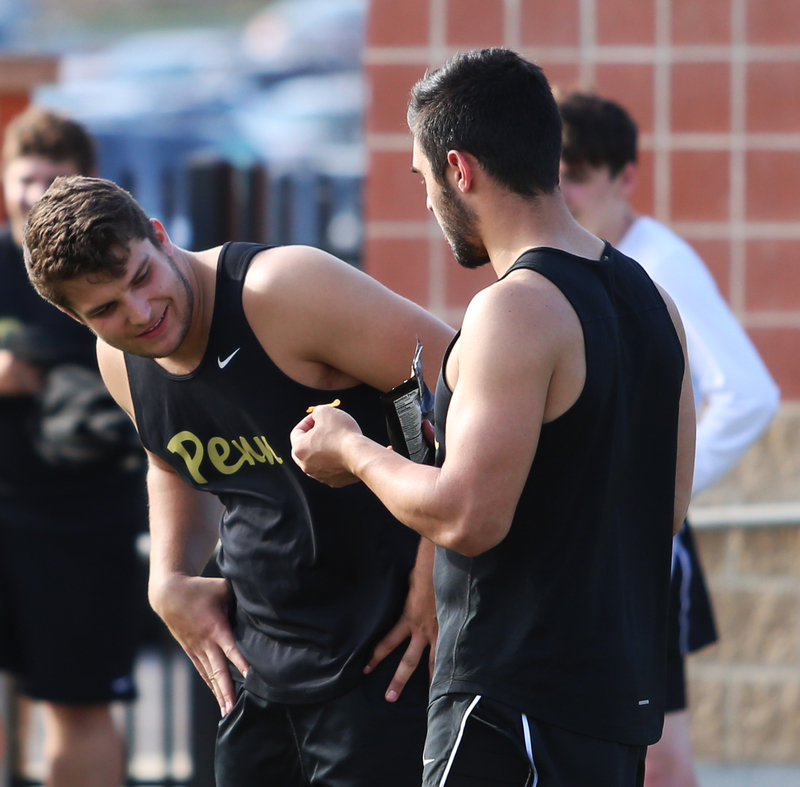 James Morris checks out the chip Caden Paquette offers him at snack time. 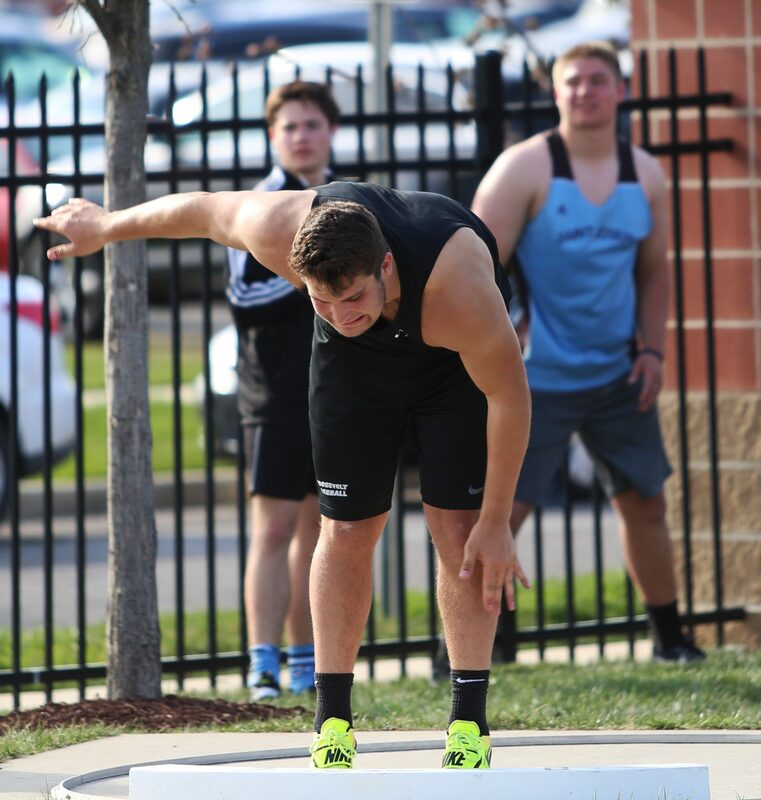 Ryan Williams prepares to throw the shot put. 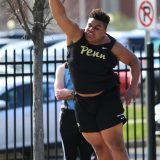 James Morris launching the shot put. 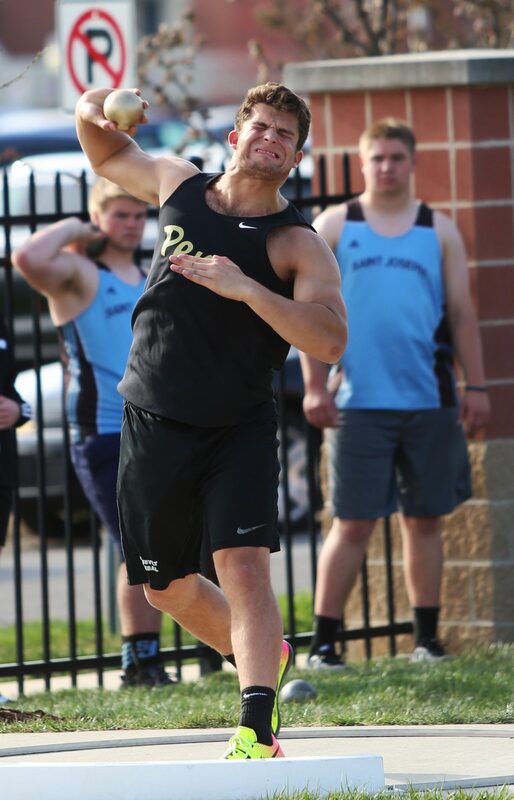 James Morris battles to keep his balance. 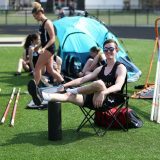 James Morris staying on his feet to avoid a scratch. 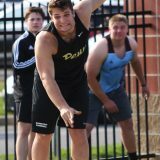 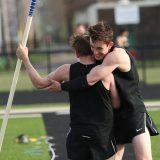 James Morris celebrating with his fellow throwers. 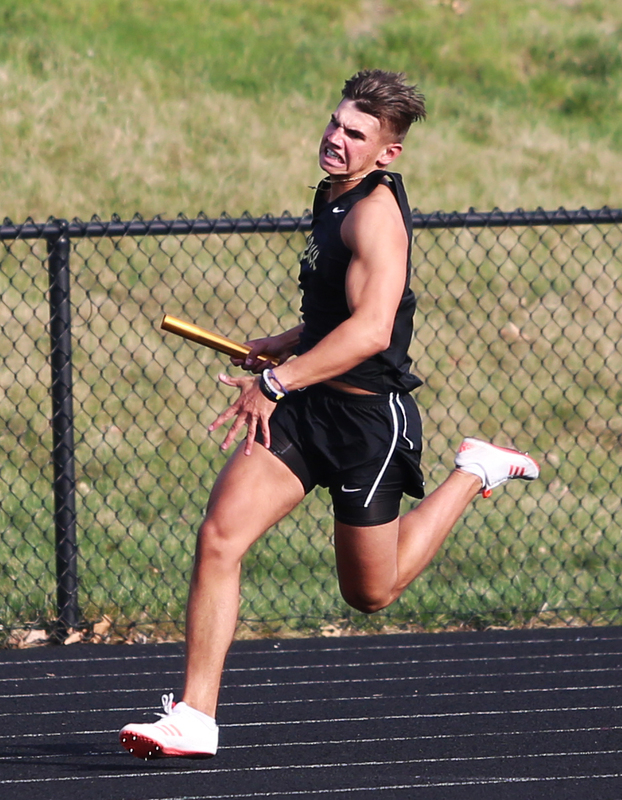 Jackson Weston flies around the turn in the 4x100m relay. 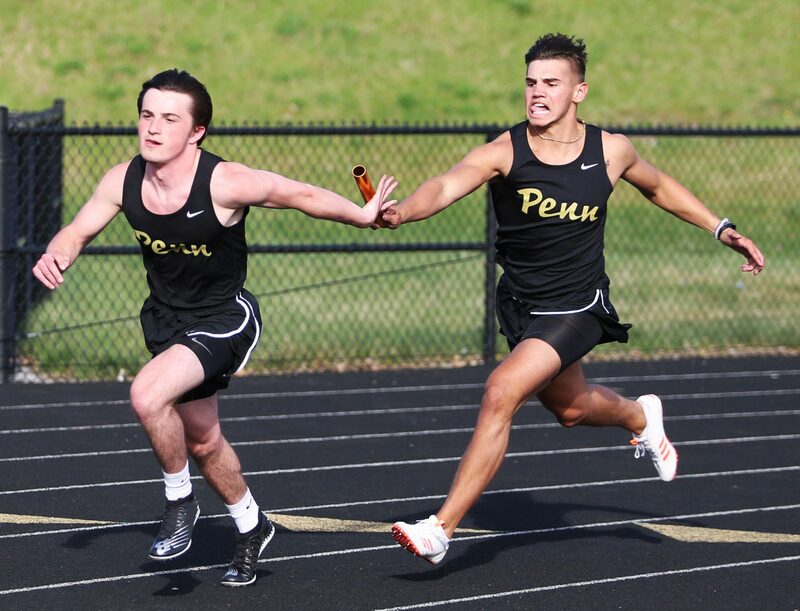 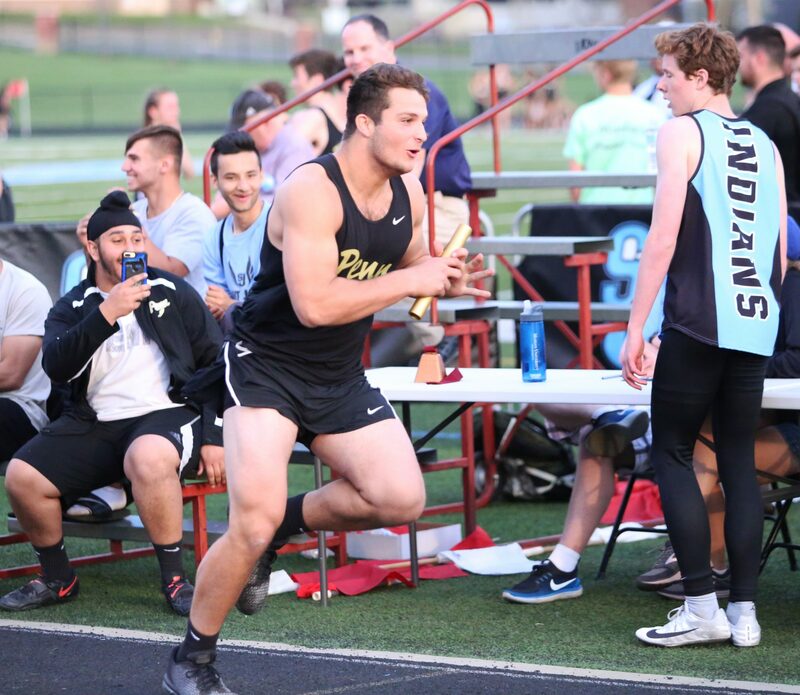 Jackson Weston hands off the baton to Andy Doty in the 4x100m relay. 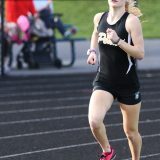 Bre Enyeart races down the straightaway. David Obert shooting off the line as the gun fires in the 400m dash. 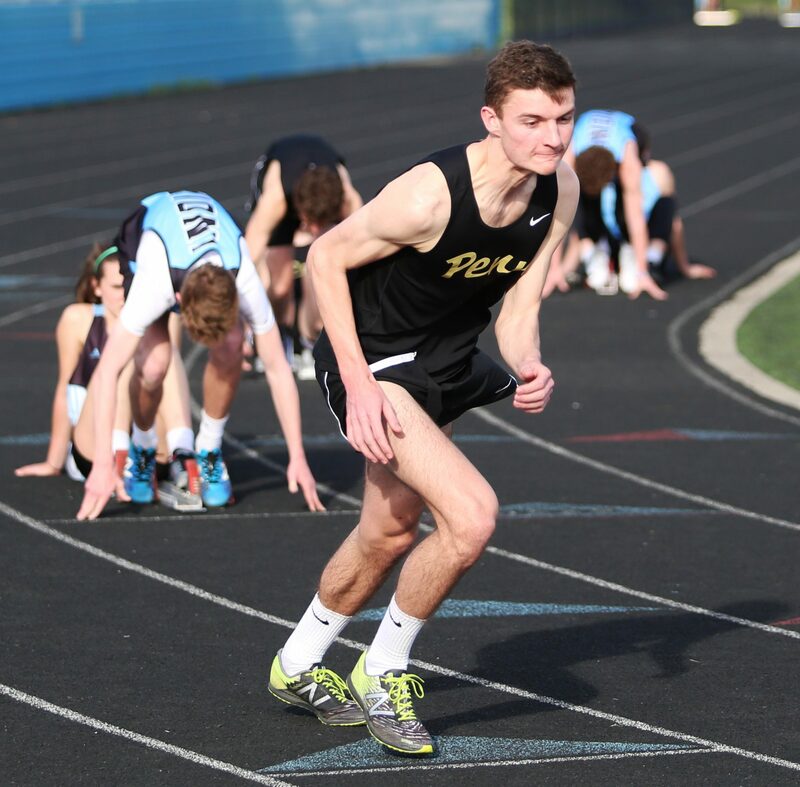 David Obert zooms across the finish line. 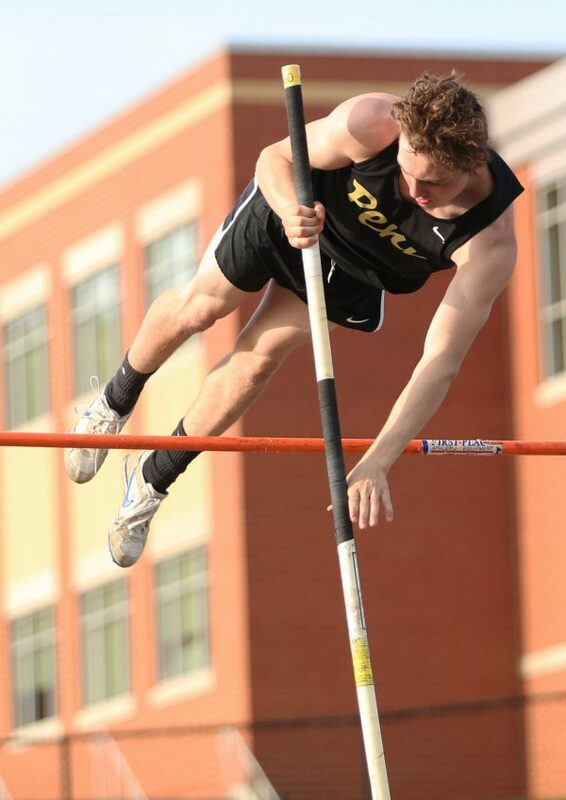 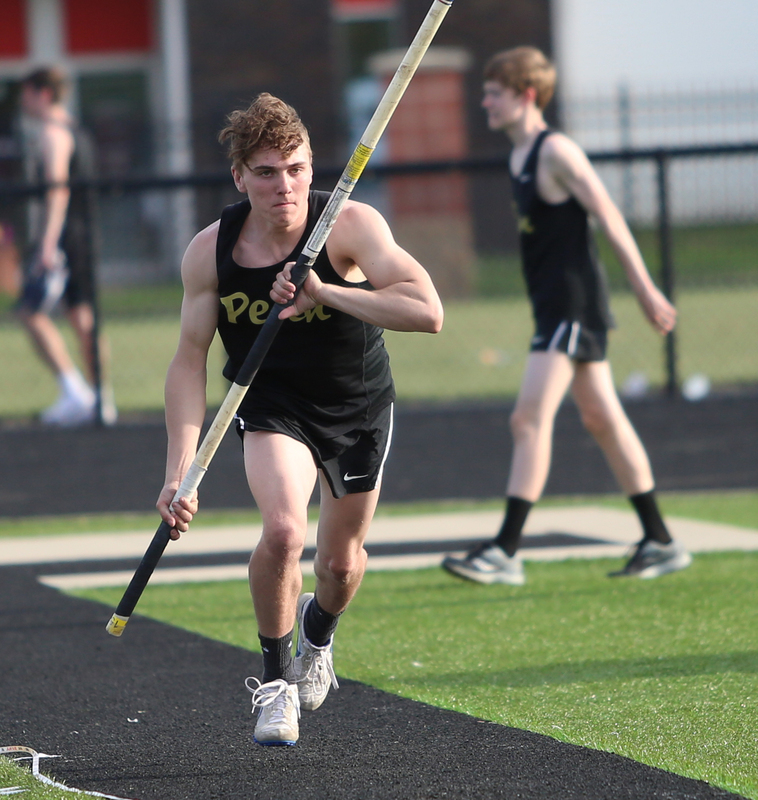 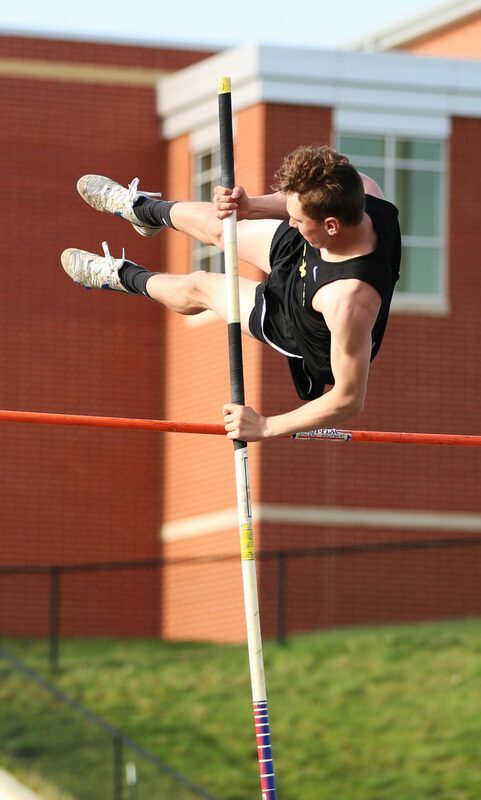 Logan Hill clears the bar for a personal record. 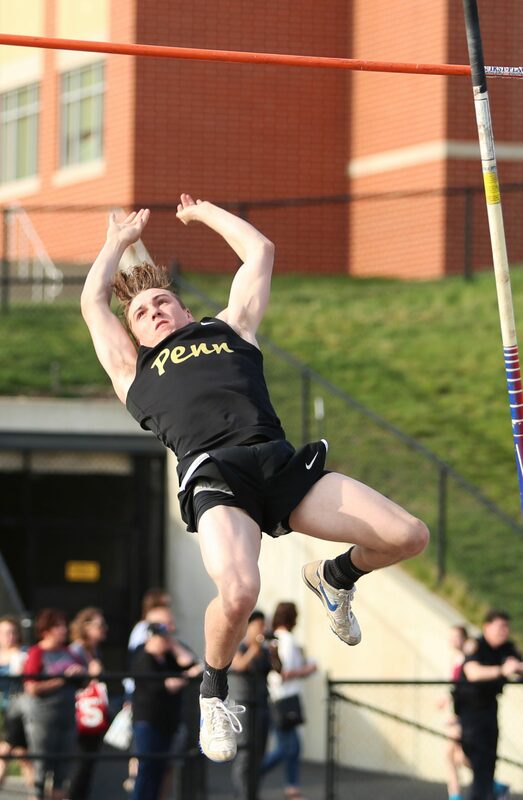 Logan Hill falls to the mat after clearing the bar. 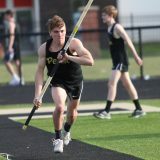 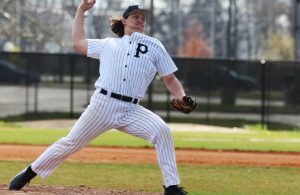 Logan Hill charges on his approach. 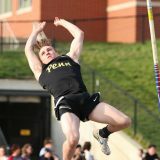 Logan Hill soars to another PR. 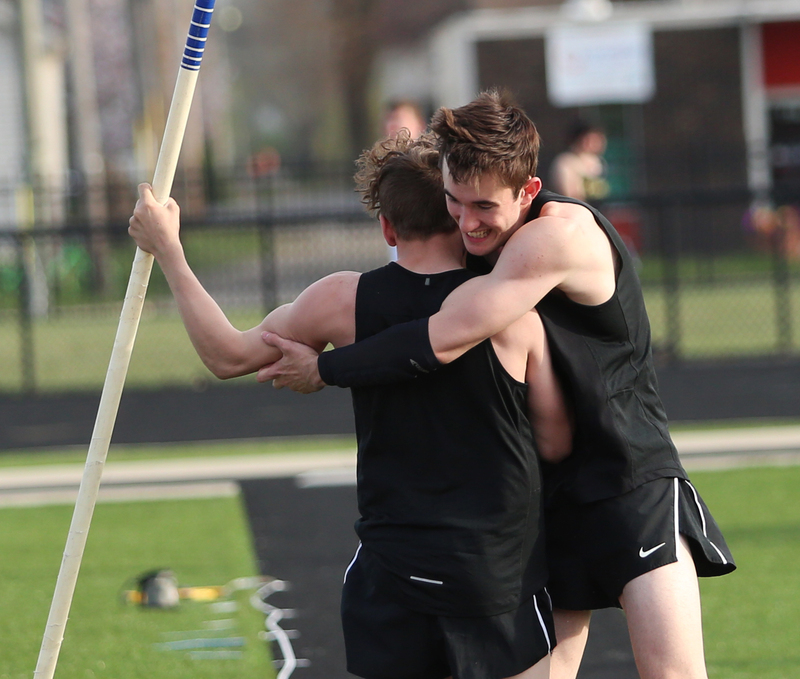 Logan Hill is congratulated by Dominic Nipper. 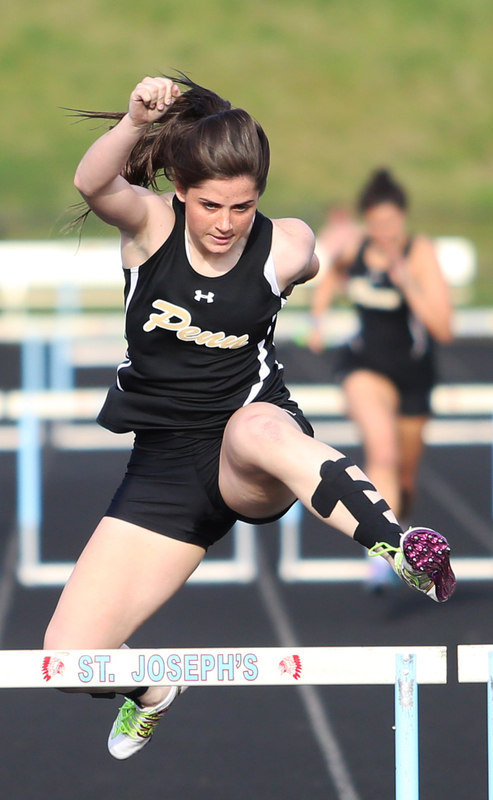 Kelsi Carrico on her way to a first in the hurdles. 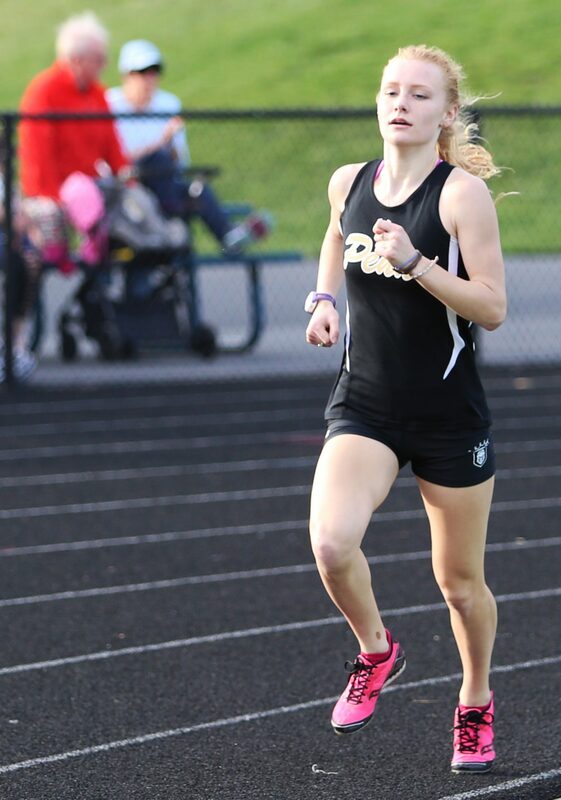 Dani Spring with a huge lead in the 800. 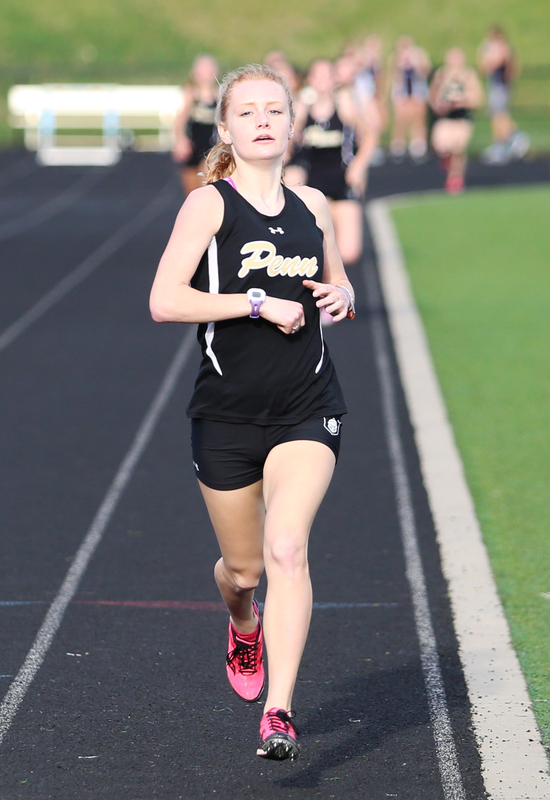 Dani Spring wins the 800. 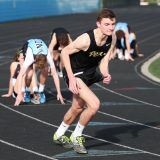 Ricky Chapple cruises around the corner in the 800m run. 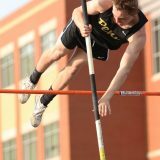 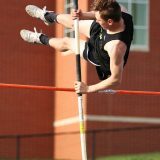 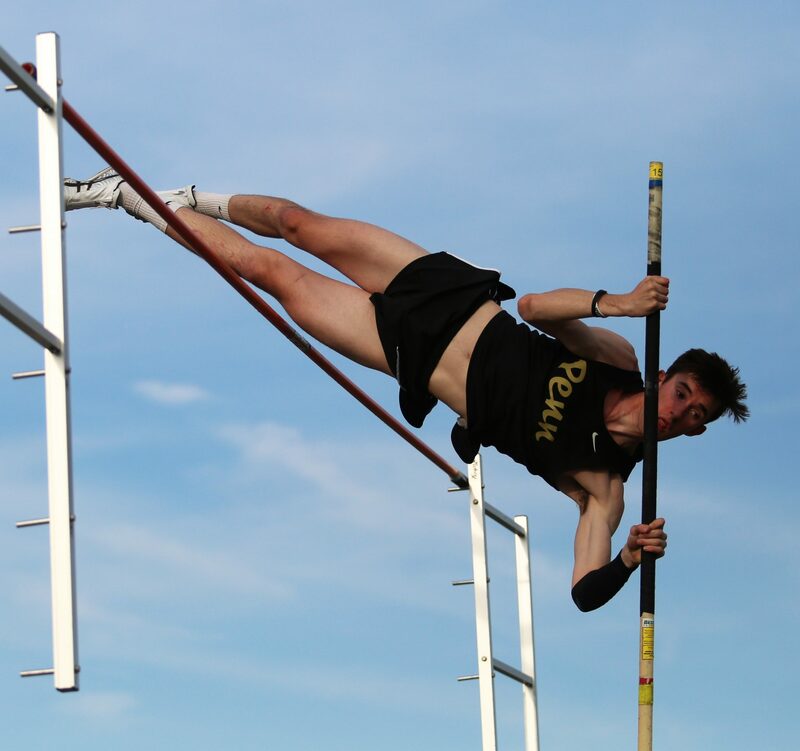 Dominic Nipper clears the bar in pole vault. 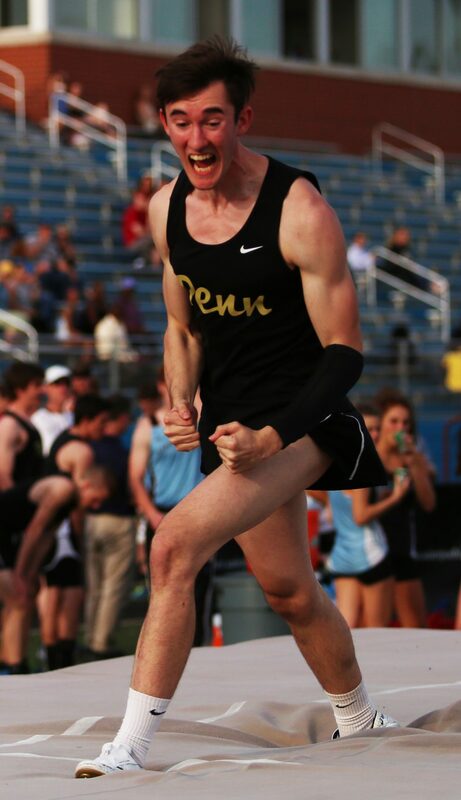 Dominic Nipper celebrates his victory. 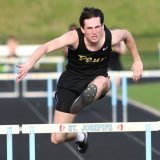 Chandler Neal blasts off at the start. 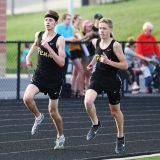 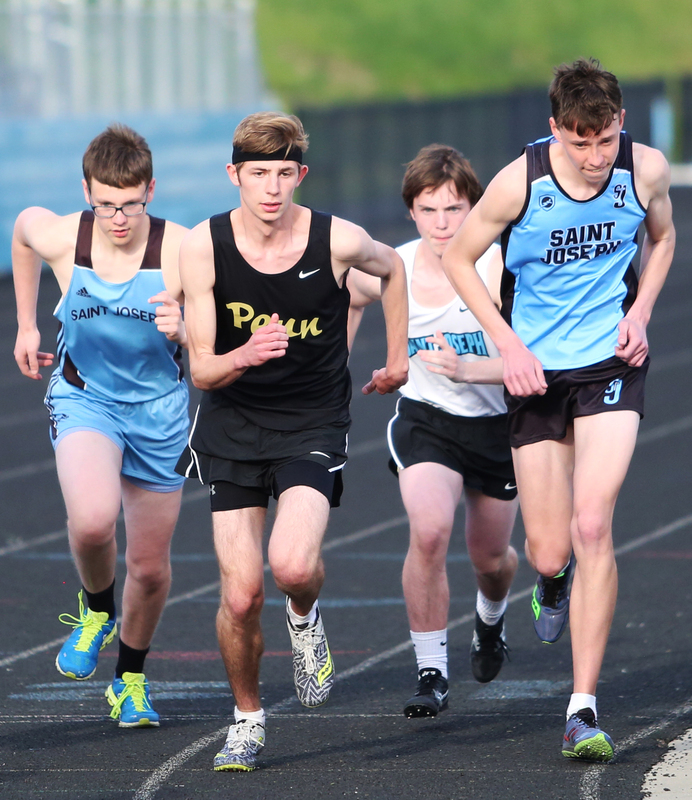 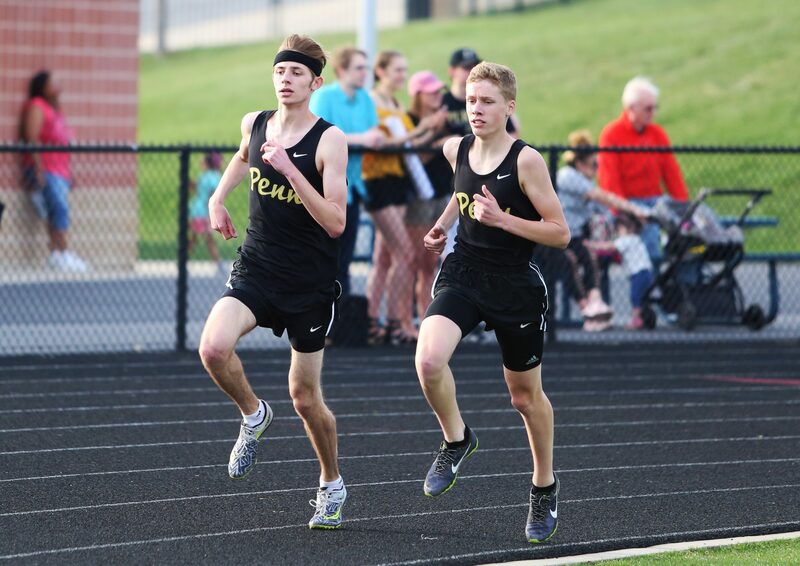 Chandler Neal, left, and Curtis Cornell lead the pack. 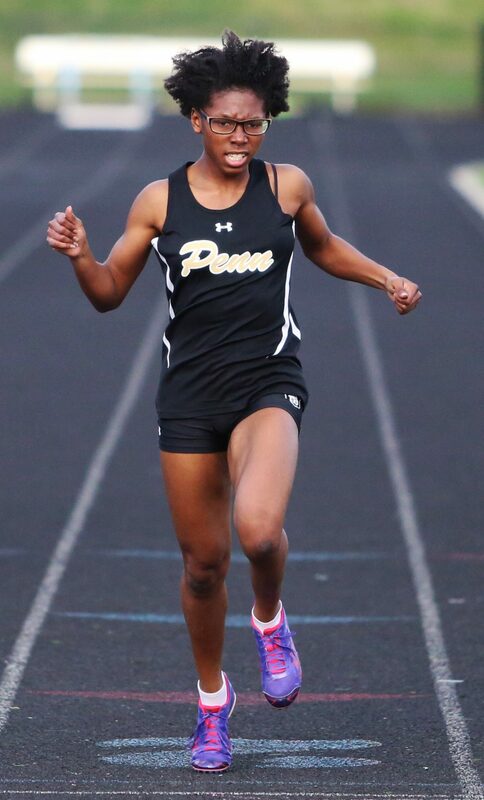 Jemmia Pennix wins the 200. 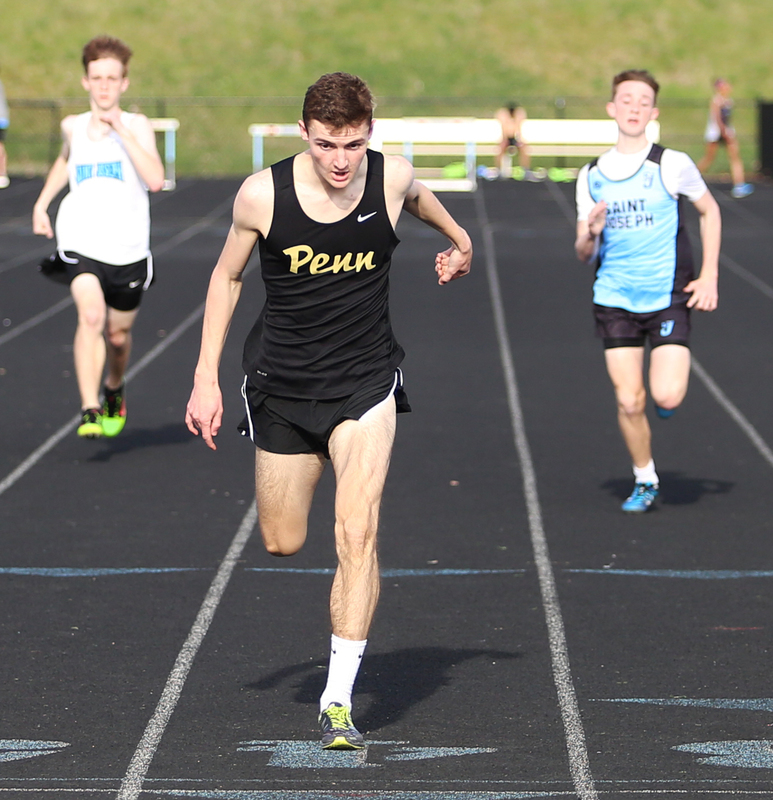 Hayden Hurn wins the 200. 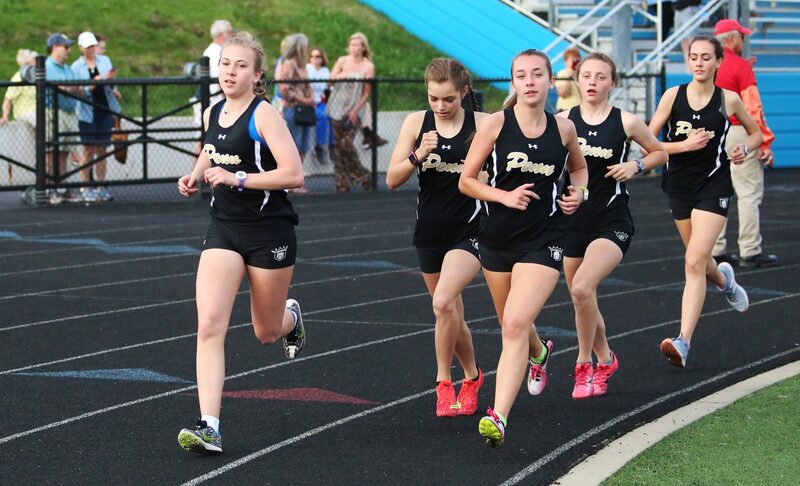 Lauren Frank leads the 3,200. 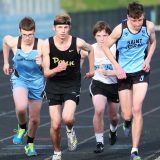 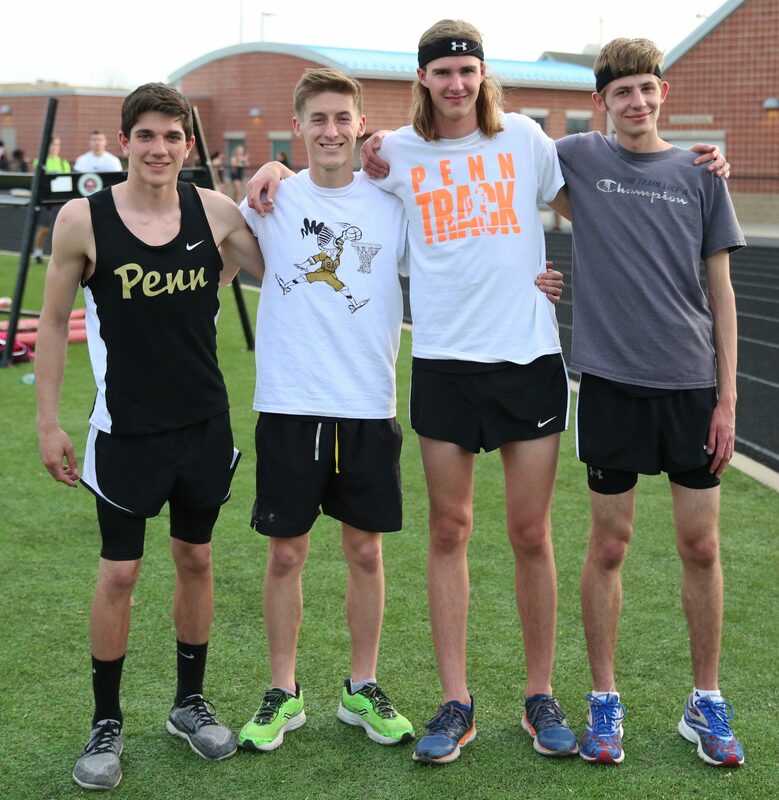 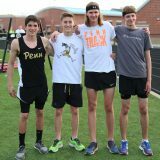 Tye Zahner (left), Chad Piatt (mid left), Chris Hamilton (mid right), and Chandler Neal (right) take home the victory in the 4x800m relay. 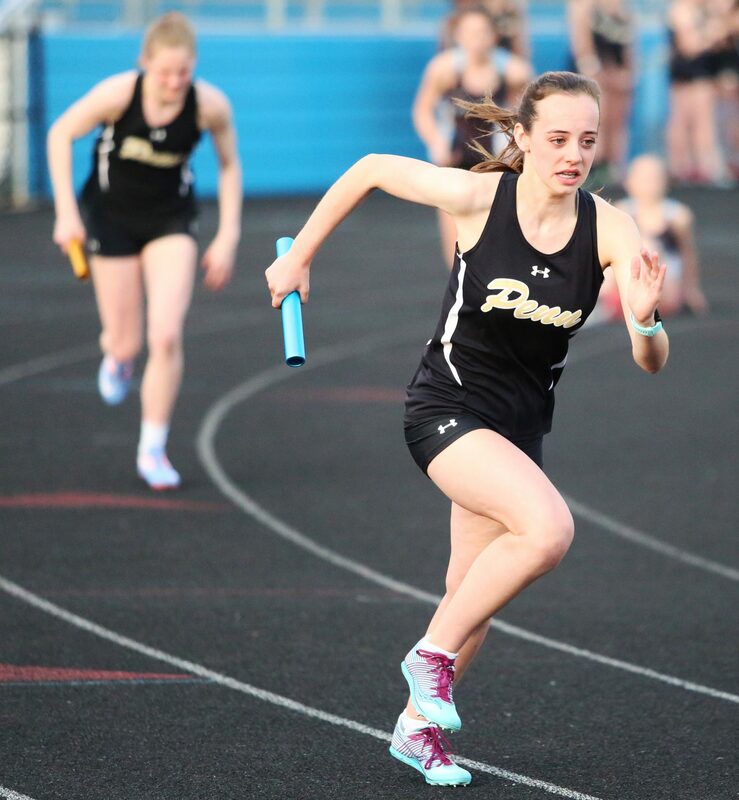 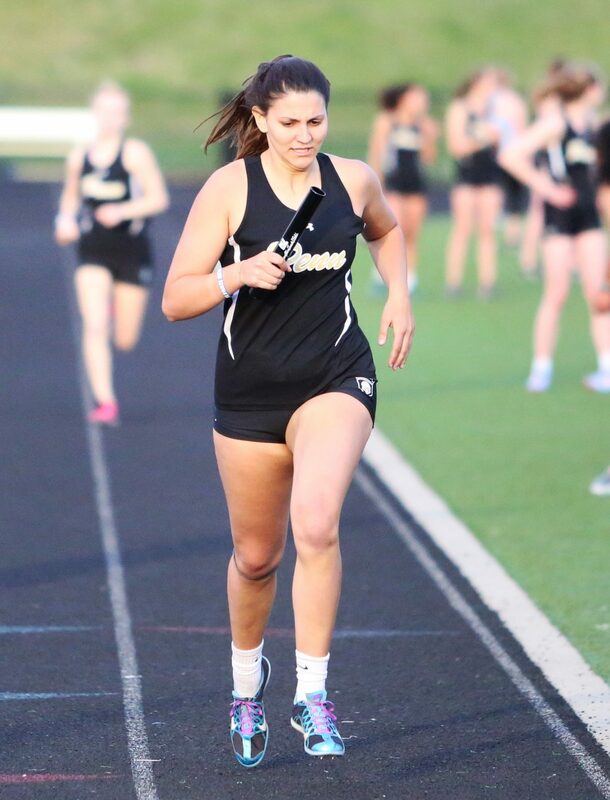 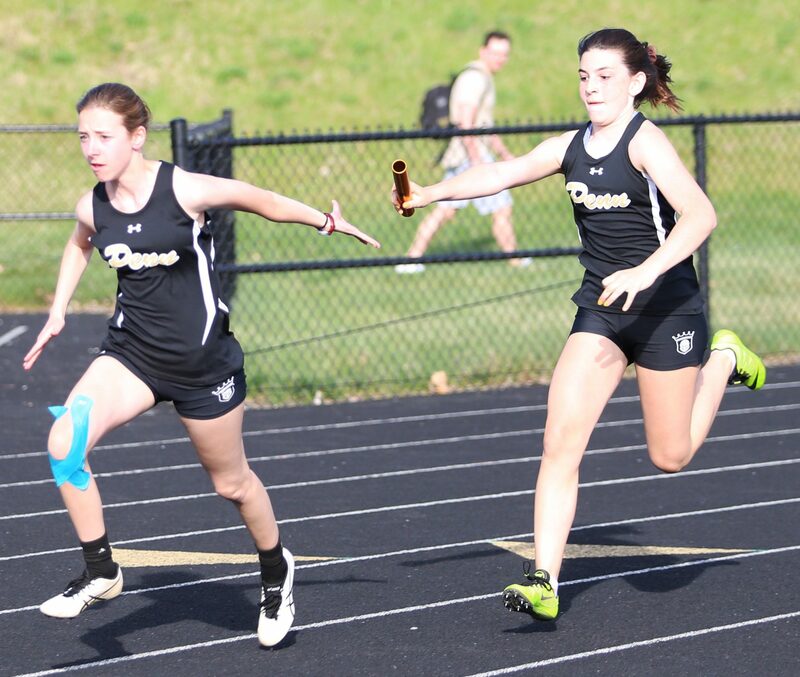 Grace Schutt gets the Kingsmen rolling in the 4×400 relay. 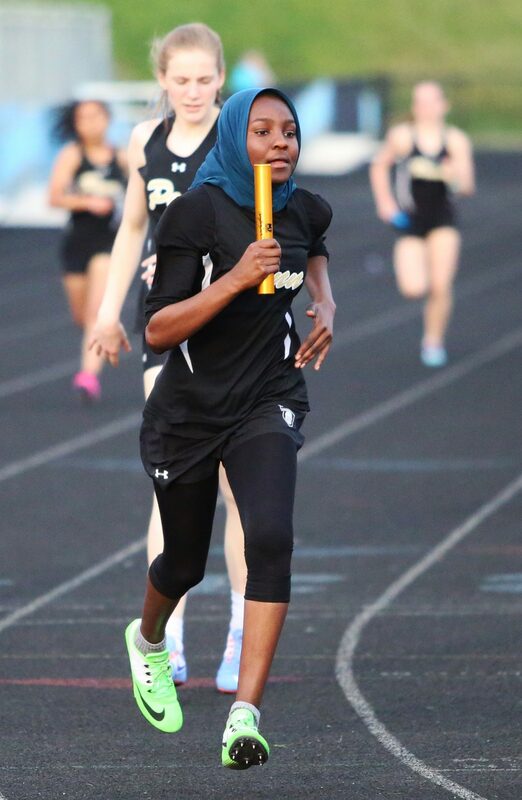 Nourra Miss making sure the Kingsmen stay in the lead in the 4×400. 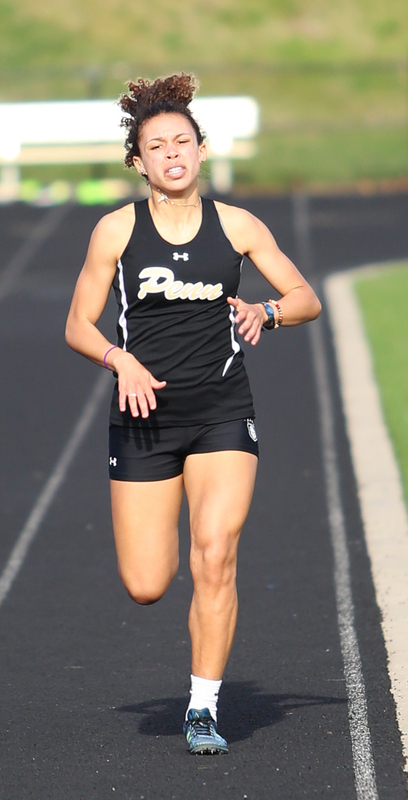 Amira Oudghiri dashes through the straightaway as her teammates cheer her on. 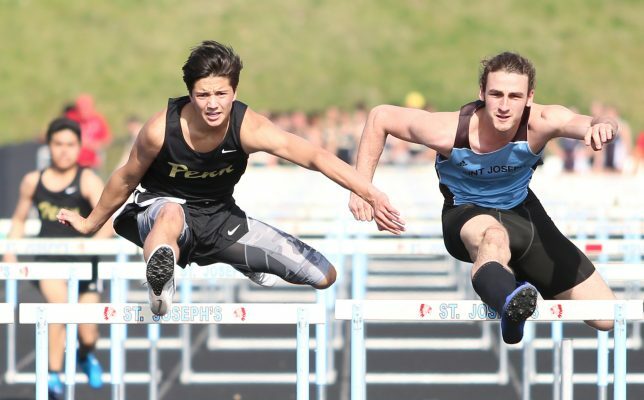 Tristan Manis gets a great jump in the starting blocks. 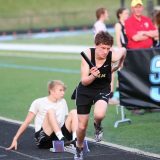 Kingsmen flash James Morris sprints during his leg of the 4×400. 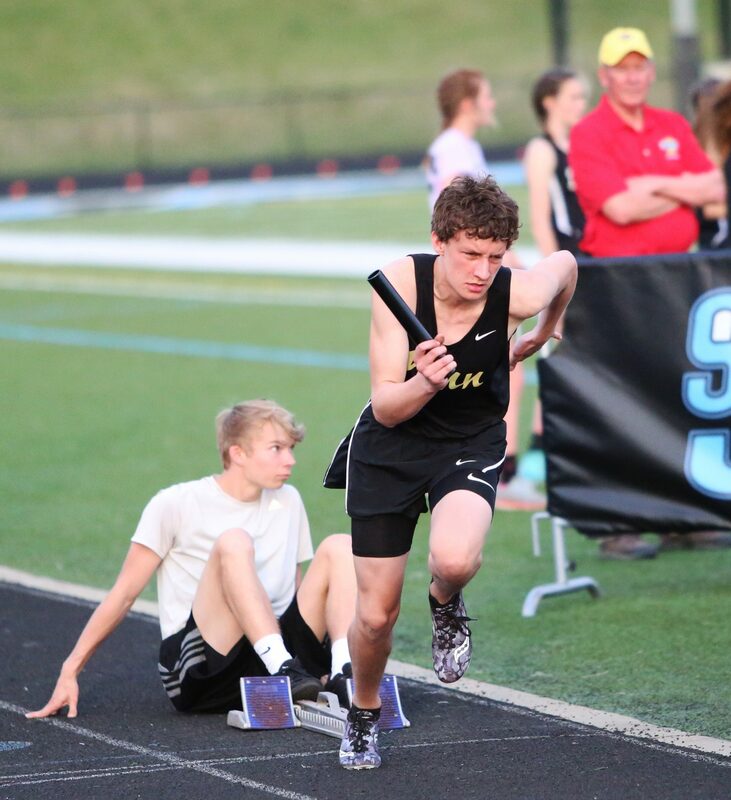 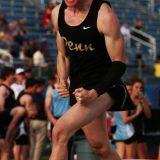 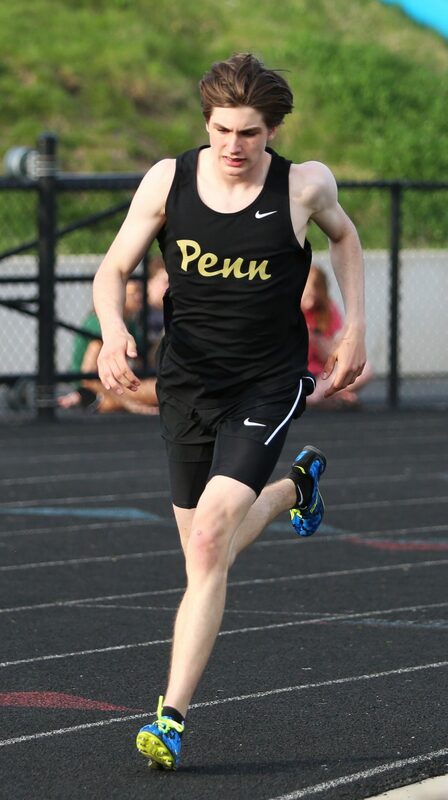 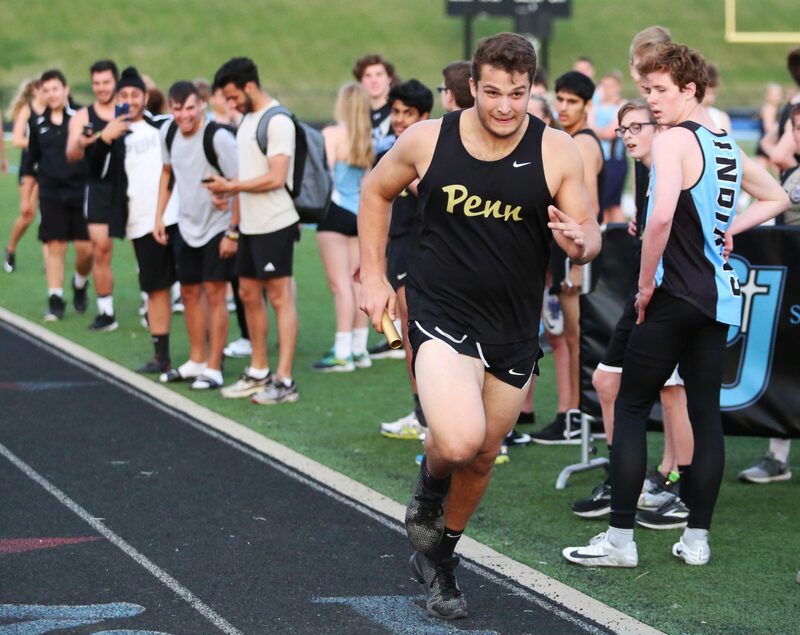 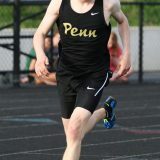 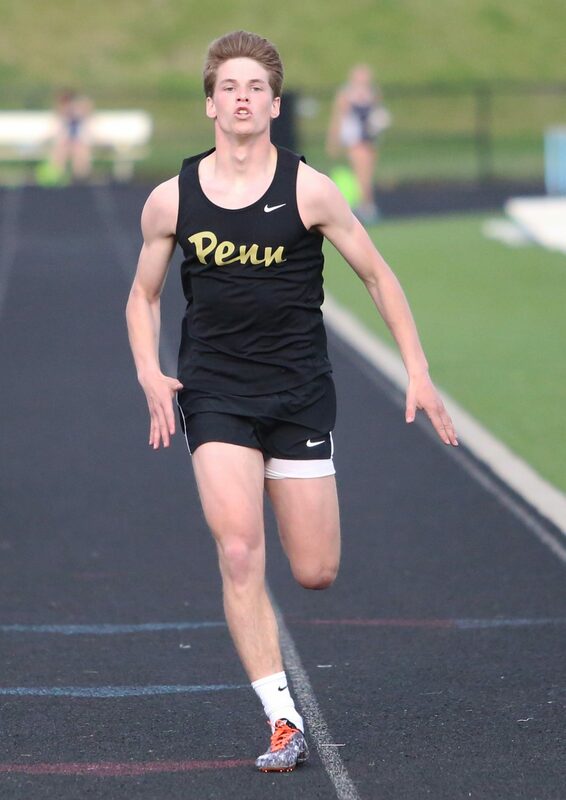 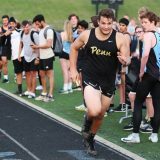 Kingsmen speedster James Morris blasts across the finish line in the 4×400.